The Supreme Court today reserved its order on a batch of petitions challenging the Bar Council of India’s Certificate and Place of Practice (Verification) Rules, 2015 making it mandatory for all lawyers to undergo verification drive to check the professional credentials of practicing advocates. The two Judge bench of Justices RK Agarwal and AM Sapre said it will pronounce the Judgment on Friday. BCI had amended the Rules and launched the verification drive to weed out law practitioners with fake law degrees. The bench today said "at the moment we are concerned about the issue of holding elections of bar councils which got delayed due to verification drive." Appearing for BCI, Senior Advocate Rajiv Dutta submitted that the Central Verification Committee headed by retired Supreme Court Judge Anil R Dave has held several meetings to examine the progress report of all state bar councils in the verification drive. He sought the Bench to allow the committee to continue. However, petitioner argued for holding of elections as early as possible. Filing an affidavit, BCI counsel said the committee examined the status report received from state bar councils and there are total 15, 34,531 enrolled Advocates and 6,44,768 advocates have submitted forms and state bar councils have sent 5, 23, 706 degrees for verification. Universities have already verified and sent reports with regards to 1,65,339 degrees. The bench was informed that on November 12 meeting of the committee, representatives of only 7 state bar councils were present and submitted the status report. In August, the Apex Court had directed BCI to set up a committee to speed up the verification drive. A three member verification committee headed by Justice Anil R Dave was constituted. Justice L Narsimha Reddy, former Chief Justice of Patna High Court and Justice Mridula Mishra, former judge of Patna High Court are the other members of the Committee. 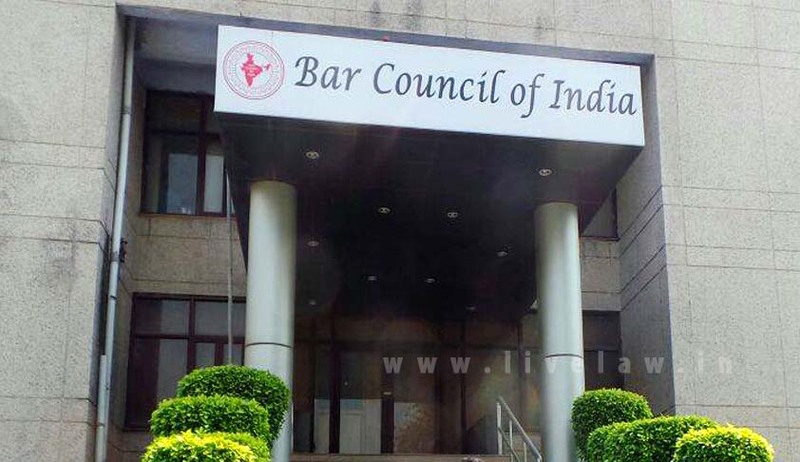 At the meeting on September 17, the state bar councils were instructed to comply with the timelines as specified under Bar Council of India Certificate and Place of Practice (Verification) Rules of 2015, on the receipt of an application for issuance of verified Certificate of Practice (COP) in Form ‘A’ of the rules. At the second meeting on October 7, a direction was issued to all universities to complete the formality of verification of law degrees by November 30. In addition, all state bar councils were required to categorise advocates on their rolls on the basis of the date of enrollment and the issuance of the verified COP. Thereafter, on October 8, the BCI analysed the responses of state bar councils to the inquiries addressed to them with regard to their progress. Finally, at the last meeting on November 12, the Verification Committee dealt with the representations of the various state bar councils. A direction was issued to the Chhattisgarh state bar council to submit all applications for verification to the concerned universities by November 25. On account of all applications made till date having been dispatched to the universities, the Jharkhand bar council was granted the permission to conduct elections. Bar councils of Madhya Pradesh and Bihar were rebuked for their deplorable compliance with the instructions issued at the first meeting. It was further submitted on behalf of the BCI that, with a view to tide over the delays on the part of the universities owing to the paucity of time and human resources, the Verification Committee has undertaken the creation of smaller committees comprising 2-3 of its members to assist the universities in the verification process. Mr. Dutta prayed for a direction from the Supreme Court to the universities to cooperate in the process. He also clarified that the Verification Committee is looking into the issue of senior advocates abstaining from sending their credentials for the purpose of verification. Mr. Dutta urged before the bench, “Even though the task is time-consuming, the BCI is working rapidly to rid the legal profession of holders of fake certificates from ‘letterpad colleges’ with no formal education and, more often that not, a criminal background.” In support of this contention, the learned senior advocate cited the example of the Bar Council of Tamil Nadu and Puducherry where 42 fabricated law degrees have recently come to light. Mr. Dutta also drew the court’s attention to the instances of public sector employees procuring degrees post their retirement and infiltrating the profession. Representing the petitioner, Senior Advocate Jayant Bhushan, in view of the fact that of the 15 lakh enrolled advocates in the country, merely 6 lakh have submitted the forms for verification, only 5 lakh of which have been forwarded by the state bar councils to the universities and less than 2 lakh advocates have been issued the verified COP, inquired of the bench, “Can state bar council elections be indefinitely postponed for the sake of verification. In Delhi, the elections were to be held in December, 2014 but none have been conducted till date. Is it rational to allow committees elected by unverified voters to use the Rules of 2015 as a handle to continue to be in power?” The learned senior counsel requested the Court to permit those advocates who have duly applied for verification under the Rules to contest as well as vote in the bar council elections.